Award-winning publisher BOOM! 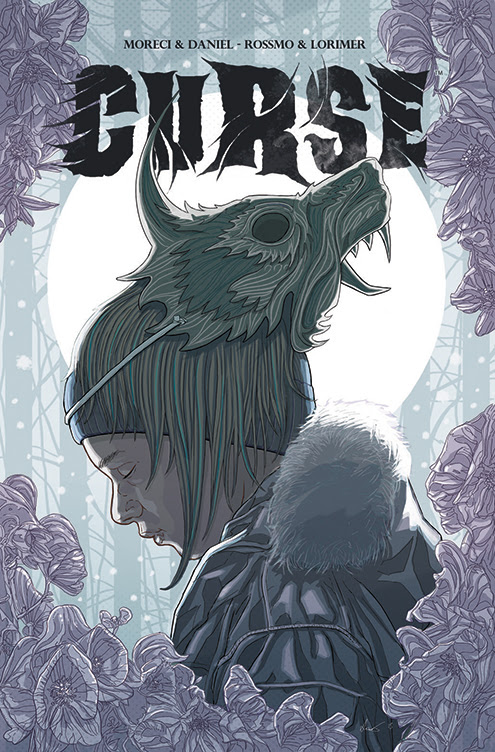 Studios is excited to announce the January debut of its newest horror comic series, CURSE, which puts a fresh twist on the werewolf mythology. The title features a creative team who are no strangers to the horror genre: writers Michael Moreci (Hoax Hunters) and Tim Daniel (Enormous), and artists Riley Rossmo (Drumhellar) and Colin Lorimer (UXB). "Now this is the way to kick off the new year," said BOOM! Studios Editor-in-Chief Matt Gagnon. "We made some noise in 2013 by curating a line of original series that we're really proud of. The only sensible thing to do in 2014 is to try and top ourselves! I'm proud to present CURSE as our opening salvo. Michael, Tim, Riley, and Colin have joined together to form one hell of a concussive grouping of talent. The fellas have created my favorite type of horror series. One that avoids cheap thrills and gaudy violence in favor of relatable characters on the brink and an unsettling monster that represents more than the terror it inflicts." 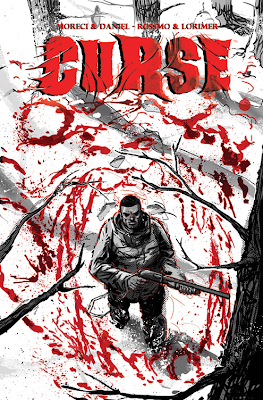 WHY YOU WILL LOVE IT: The CURSE creative team practically screams “horror”—from writers Michael Moreci (Hoax Hunters) and Tim Daniel (Enormous) to artists Riley Rossmo (Drumhellar) and Colin Lorimer (UXB), you’re in store for a smart, realistic, and haunting read. WHAT IT’S ABOUT: Laney Griffith is a man who will do anything to save his son from leukemia, but the cost of treatment has broken him financially. When he pursues an elusive murderer in the wilderness of his small, rural community, in the hopes of securing a substantial bounty, Laney is confronted with something he never could have expected: a werewolf. The captive lycan, in human form, turns Laney’s life upside-down, forcing him to confront his haunted past and race against the clock—because the wolf will return, and Laney’s son’s condition continues to worsen. CURSE is a story of a family’s survival at all costs. 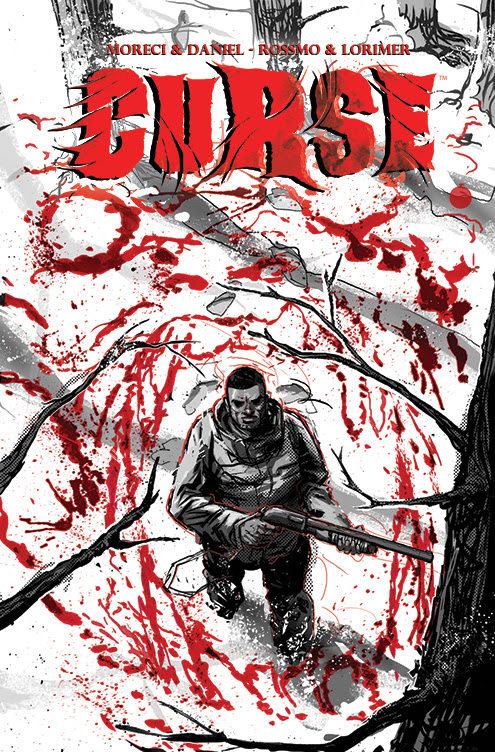 CURSE #1 arrives in comic shops on January 15th with a cover price of $3.99 under Diamond order code NOV130863. Not sure where to find your nearest comic retailer? Use comicshoplocator.com or findacomicshop.com to find one! It’s also available for order directly from boom-studios.com.